This Rebel is ready to yell! The Hammer Rebel Yell features the Rebel core covered with the Juiced Pearl coverstock and is finished out of the box with a 500 then 2000 grit Abralon pad and then polished with Powerhouse Factory Finish Polish. This combination produces a lot of downlane angle when up against medium oil conditions giving you length with a strong backend. I drilled mine using a 75 x 5x 35 dual angle layout which put this pin over my ring finger. This ball is a must have if you are looking for a ball that is very clean through the fronts, stores energy through the mids, and gives a strong skid/flip motion on the back end. This ball will be amazing on house shots and medium patterns!! Likes: This ball hits hard! I was a big fan of the Rebel and Rebel Solid, so was really excited to have this piece in my bag. It is very continuous, and although it doesn't appear to 'flip' or make a big direction change, it packs a punch. I have been using this in my Blue pattern league, and it's really predictable and allows me to score well on moderately challenging conditions. Dislikes: only one - the box finish was a little too shiny for me (I am a mid to low rev player). Once i scuffed the surface, the ball was excellent. The Rebel Yell is very clean through the fronts for me. It is also very sensitive when it sees wet/dry conditions. I have gotten the most consistent reaction on blended to dry conditions. If I had my choice between the Cherry Vibe and the Rebel Yell I would go with the Vibe series. For me, the new RebeL YELL definitely is a stronger version of the original Rebel that was released last year. With the stronger pearl coverstock, the Yell can handle the medium lane patterns much better than the original. For me, the original was a little too smooth to my liking for a pearl ball. The new Yell offers a much sharper motion down the lane and is the perfect ball for the transitions and when the lanes are a little drier in the end of the league / tournament games. The symmetrical weight block helps revs up in the midlanes, which then provides a controllable skid/flip ball motion. This is definitely gonna be in my bag for future tournaments for sure! I have had a few different styles of bowlers throw this ball and all 3 have been impressed with the ball motion that they saw. This ball comes with Hammer’s 3 year warrantee which provides the BEST value for your $$$! I think the new RebeL YELL will be a great ball for the typical medium lane patterns that offers a clean motion through the fronts with a sharper ball motion off the spot down the lane. A very versatile pearlized ball… You will be impressed! Likes: This ball is a great addition to the Rebel line. The original Rebel (blue and red) was very smooth and the Yell gets a much stronger and violent response down lane. Seems a little stronger overall but very aggressive. I used it on the THS, 2011 Women's Open and Broadway patterns and found it to give me a very readable look on what the lane was asking for. Easy ball to figure out and does exactly what this line needed. You make a good point. The "over-waxed" shelf appeal can effect the performance on just about any ball. I remove the wax after most new purchases. 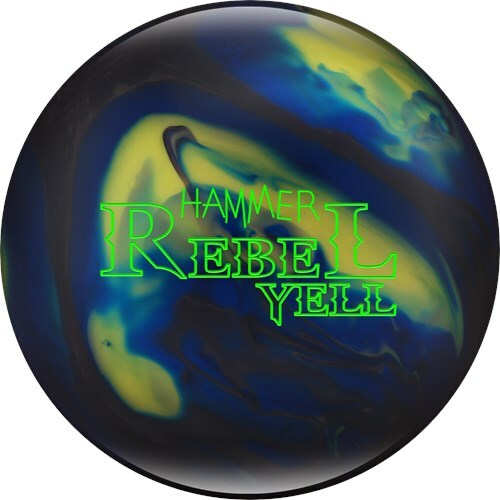 Just when you think there couldn’t be a ball better than the OG Rebel……Well here it is, Hammer’s New Rebel Yell! 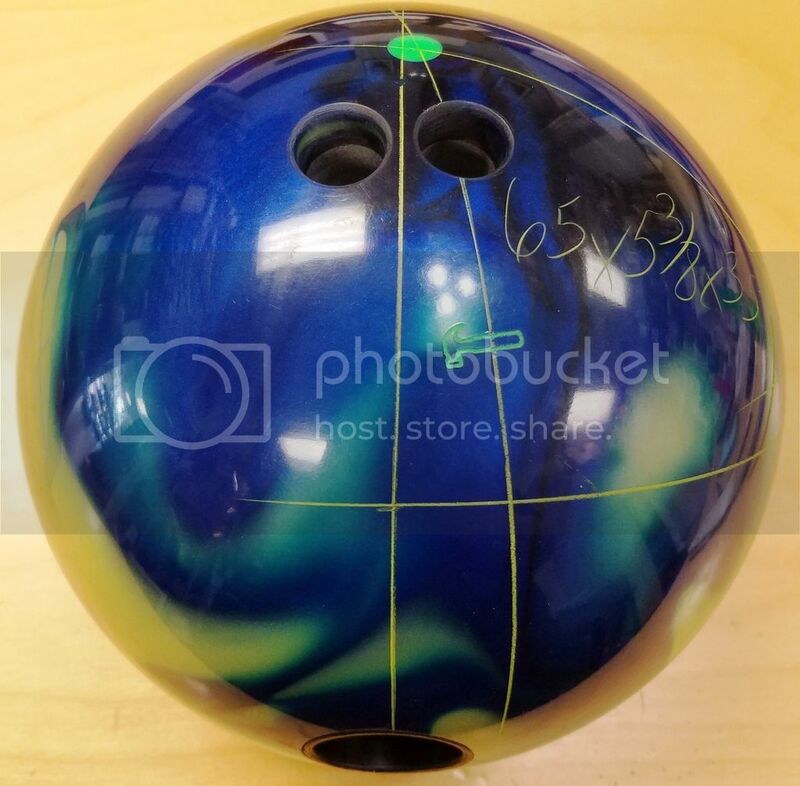 This ball is the same shape as OG rebel with more continuation downlane and about 4 to 5 more boards of hook and this baby can pick up on top of the pattern. This is a big skid flid ball. A lot of hook in this price point.